Have you ever… | ReLocavore: Redefining "local"
Daisy stole a cucumber straight from the vine. Have you ever seen anything so Bassadorable? 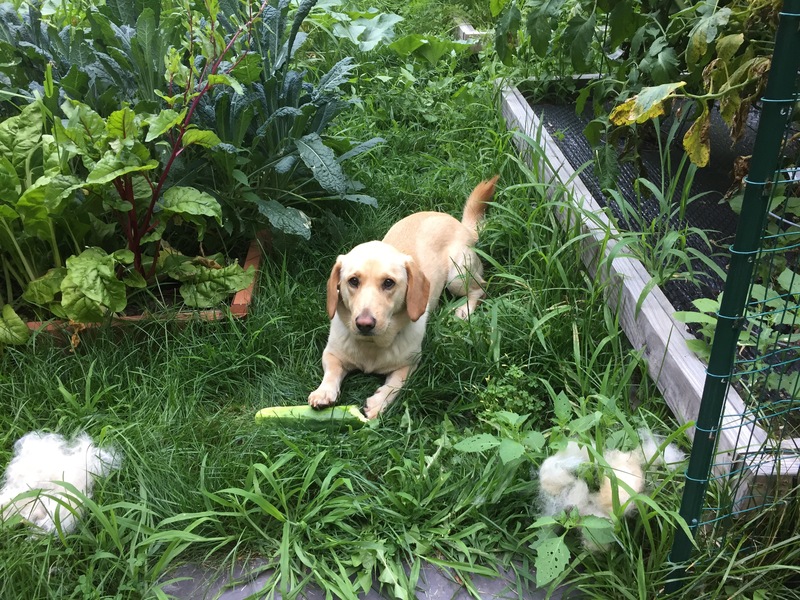 Categories: Gardening | Tags: Cucumber, dog, dogs, garden, gardening | Permalink.